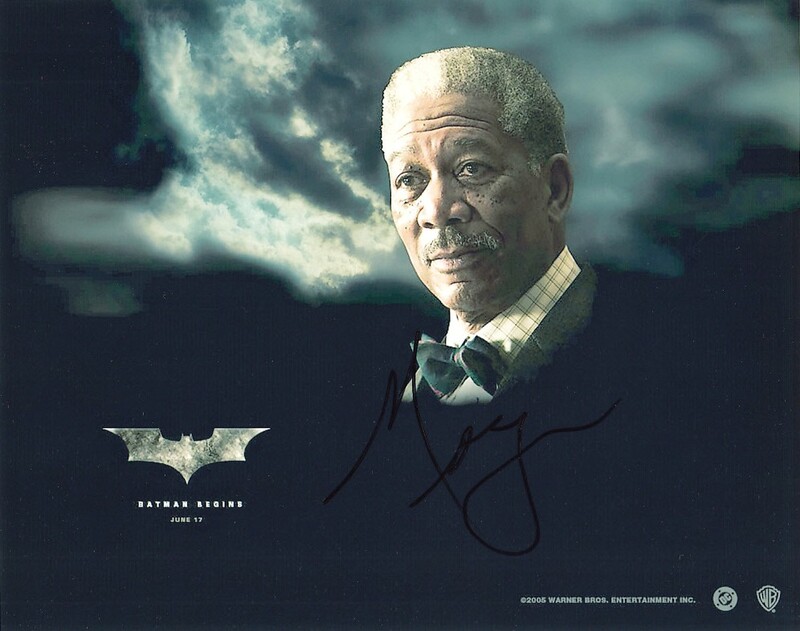 8x10 promotional photo from the hit movie Batman Begins autographed in black marker (in a dark area, hard to see) by legendary actor Morgan Freeman, who of course played Alfred. Obtained in person at celebrity golf tournament many years ago, with certificate of authenticity from AutographsForSale.com. ONLY ONE AVAILABLE FOR SALE.